Next time you read, watch or hear a story about how Parliament Hill is learning to deal with sexual harassment in the Me Too era, ignore it. 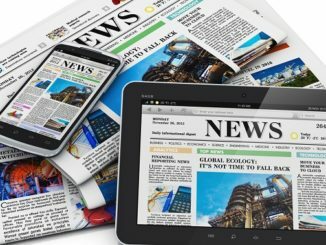 Canada’s national media have proven they have selective interest in this topic. 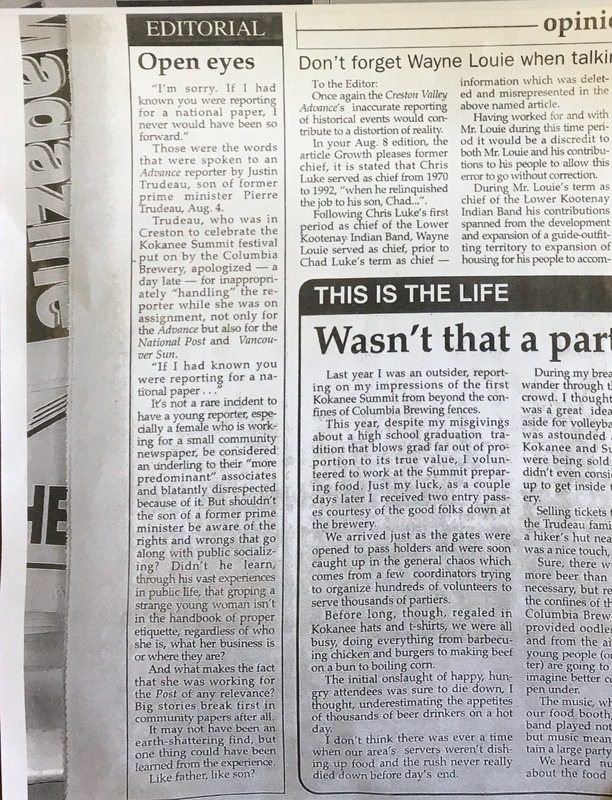 It is now 8 days since Warren Kinsella posted the editorial from the Creston Valley Advance about Justin Trudeau groping a young reporter in 2000. It’s been a full week since my Sun colleague Mark Bonokoski published his column on Trudeau laying out the allegations in a major daily newspaper. Since then the story has been picked up by Buzzfeed, The Sun UK, The Daily Telegraph, Breitbart and Narcity. Even the New York Times made mention of it here. Notice that other than the Sun, these are all online or out of country media outlets. There are no newspapers outside of the Sun, no Canadian TV networks have touched this. Next to no Canadian coverage at all. I wrote about it in the Toronto Sun here. I know that it has been covered on talk radio by myself, Bill Carroll, Roy Green and I am sure some others but where is the rest of the coverage. The woman at the centre of these 18 year old allegations does not want to talk. I can I understand her position but that doesn’t mean there is no story. There is the original editorial, the one that quotes Trudeau. “If I had known you were reporting for a national paper, I never would have been so forward,” the paper reported Trudeau saying. There is the part of the editorial that chastises Trudeau for his actions. There is the comment that Bonokoski got from the PMO that I’m sure they would give to anyone that called or emailed them. “He remembers being in Creston for the Avalanche Foundation, but he doesn’t think he had any negative interactions there,” Matt Pascuzzo said. All of these are the basis for a story and at least should prompt questions to Trudeau about this issue. Remember, these allegations were out there on the evening of Wednesday June 6. 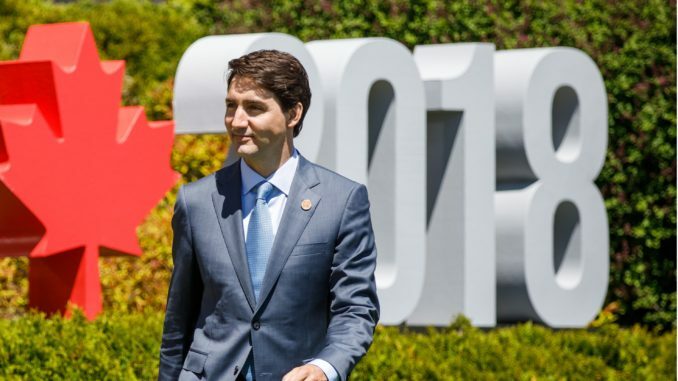 Trudeau spoke to the media on Thursday and Friday before the G7 but faced no questions. He didn’t get questioned on this at the G7 closing news conference. When he got back to Ottawa, Trudeau also was able to speak to the media on Tuesday and Wednesday without being questioned. Sure, we are in the middle of a trade war but it isn’t like Trudeau hasn’t been answering questions on other topics. It isn’t like the reporters on Parliament Hill are only dealing with one story. This is a study in ignoring a major story that is sitting right in front of them. When Patrick Brown faced allegations every media outlet jumped on them. When Rick Dykstra faced allegations the same thing happened. Liberal MPs such as Darshan Khan, Kent Hehr, Massimo Pacetti and Scott andrews were all covered extensively. An old complaint against New Democrat Christine Moore was covered extensively. The national media doesn’t want to see it, doesn’t want to cover it. They won’t hold Trudeau to the same standard they hold others to even though he says it should apply. “The standard applies to everyone,” Justin Trudeau told CBC in an interview in February. In that interview he also said it doesn’t matter how old the allegations are. “There is no context in which someone doesn’t have responsibility for things they have done in the past,” Trudeau said. Except in the context of Canada’s national media. One thing about the Ottawa Sewer Swamp minions they do respond to the Directions they are given in the Liberal party Daily Talking Memo Diktatates. Does Princess Sophie fit the role of a Forgiving; yet not a Stand-By Your Man hillary Type? Trudeau more than any other public figure should be required to defend this action. A champion of feminism can’t remember? The Canadian mainstream media is not to be trusted. They will hide evidence and protect anyone or anything that is liberal. They will attack anything Conservative. I no longer see Canada as a country that is a world leader – it is now a cuck nation and a follower. The media will help him get away with this. 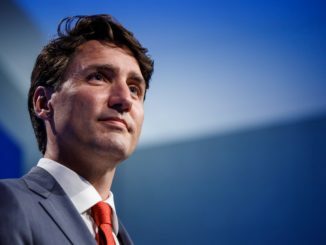 ‘ME TOO’ refers to pretty boy justin trudeau who uses it as a victim card on himself when he is harassed. Men like Trump, PMSH, Austrian chancellor only 39 years old are defenders of women. 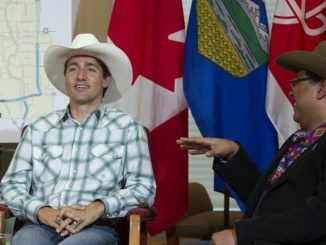 Media attacks those who harass their pretty boy ‘me too’ victim card user trudeau. The quote speaks volumes about the character of the person.